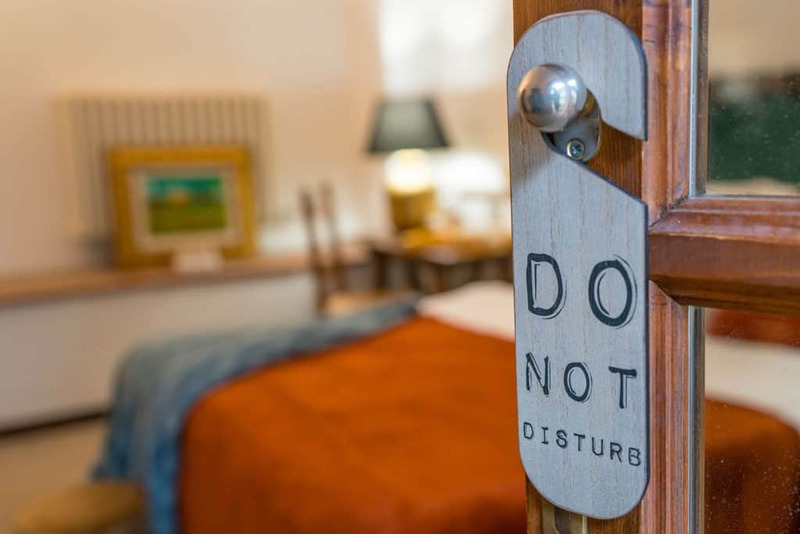 To reserve your room online, please use the button below. Or, feel free to call us at +39 0577 669668. 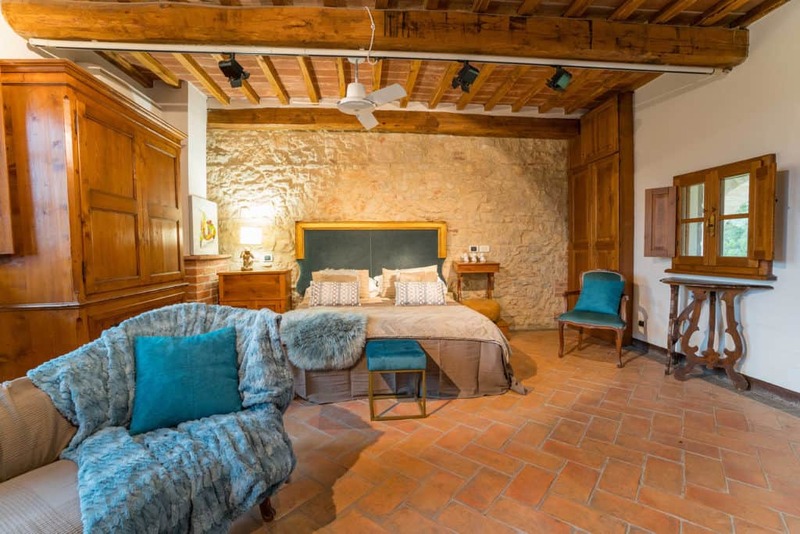 La Chiusa is the right choice for visitors who are searching for a combination of charm, peace and quiet, and a convenient position from which to explore Tuscany. 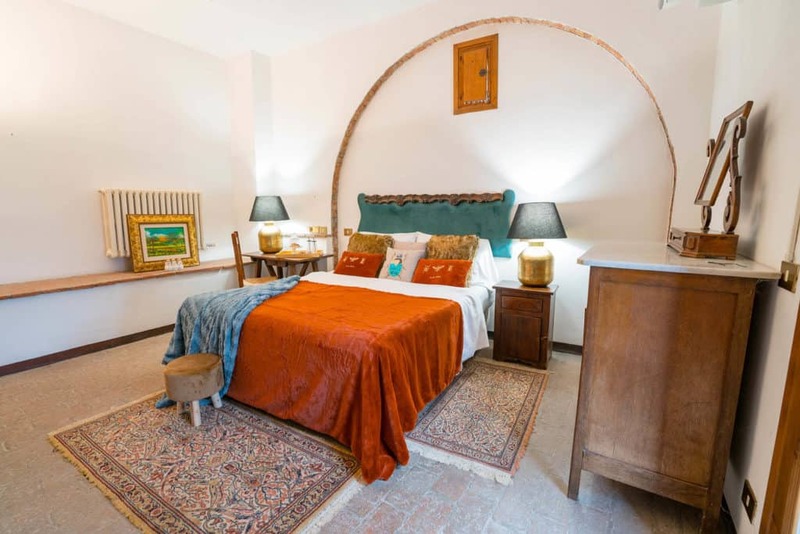 It is a small, comfortable hotel, situated just outside the walls of our 13th century village. Our family and staff offer an attentive, personalized service and are always available to offer any help to guests. The hotel is arranged on one floor with differing levels–ensuring great views for everyone. On this floor, apart from the reception and restaurant, there are many private areas where you can sit and drink tea, or a glass of Italian wine, or just read. There is also a splendid terrace, where, you can relax and enjoy the view of our olive groves, our village of Montefollonico, Montepulciano, and the mountains surrounding the Val d’Orcia. 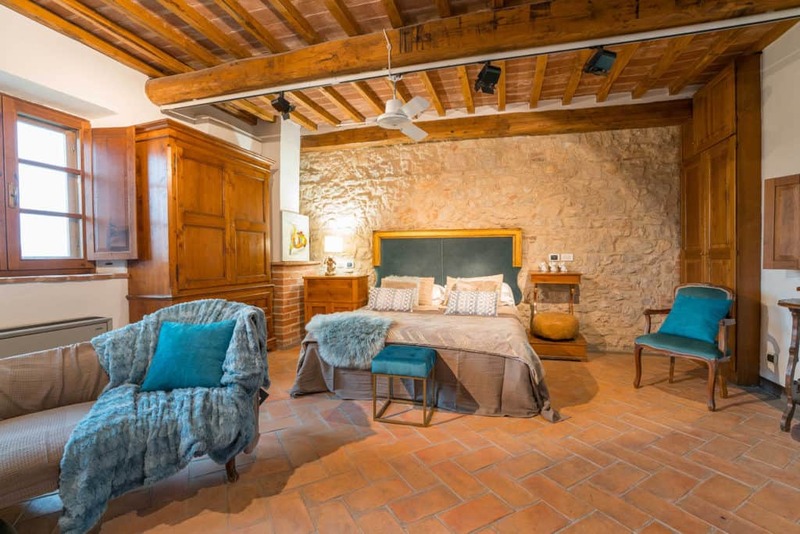 The 19 rooms at La Chiusa are furnished with care in a modern style, but still maintain a typical Tuscan look with their original tiled floors. 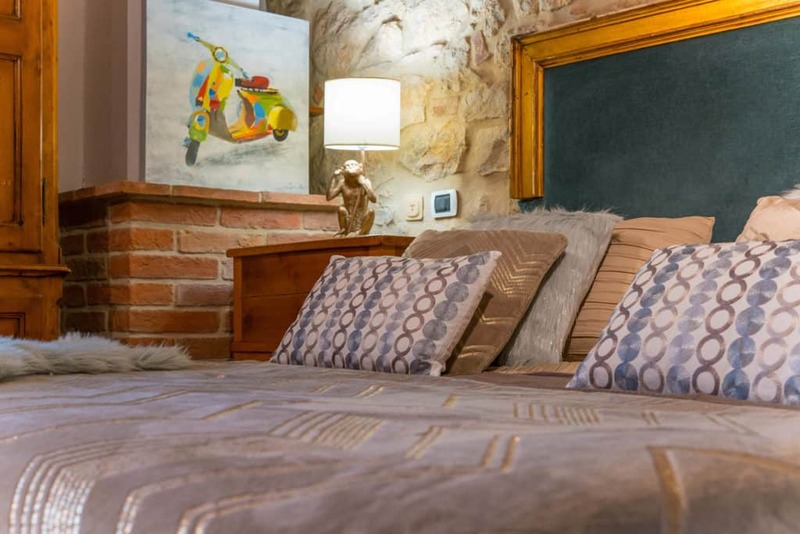 The rooms are also decorated with a bit of whimsy made by local artists. 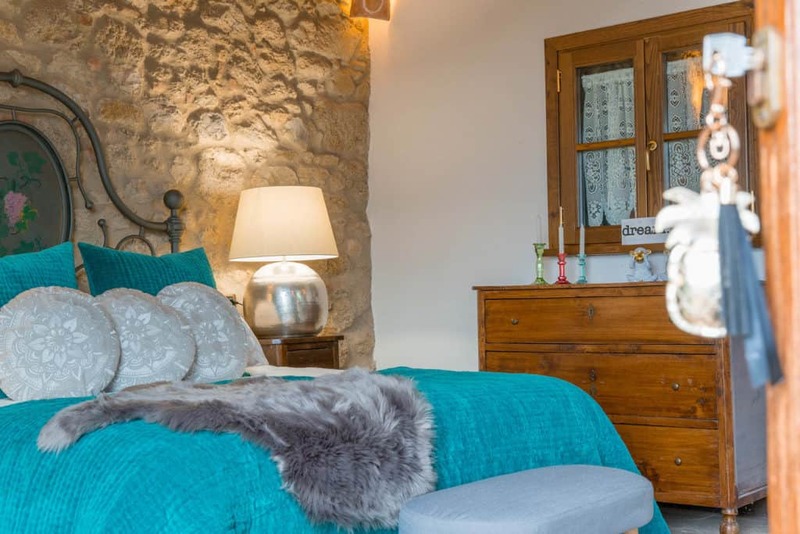 All rooms have a modern bathroom and are equipped with all modern conveniences such as satellite TV, air-conditioning with individual control, central heating, mini-bar, safe, hair-dryer and Wi-Fi internet connection. 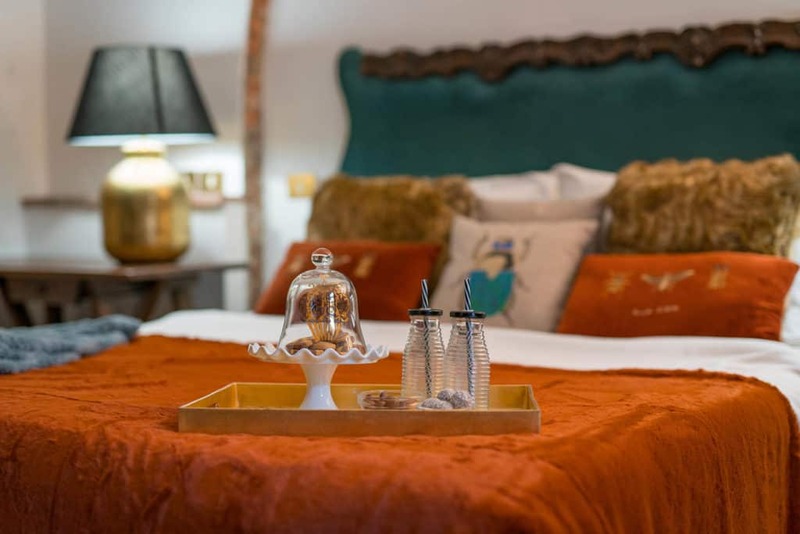 With a personal entrance, these glamorous suites are our most requested rooms at La Chiusa. 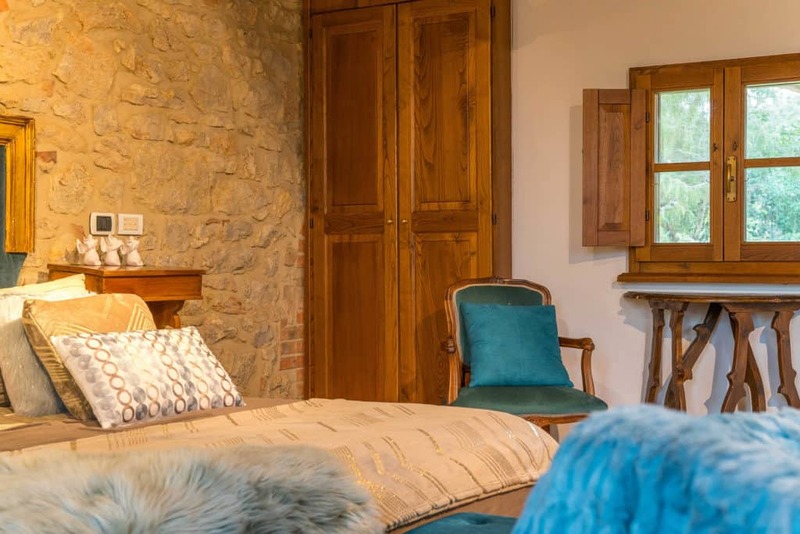 Listen to the soothing Tuscan winds blow as you gaze through the original Olive-Mill windows to the Mountains in the distance. 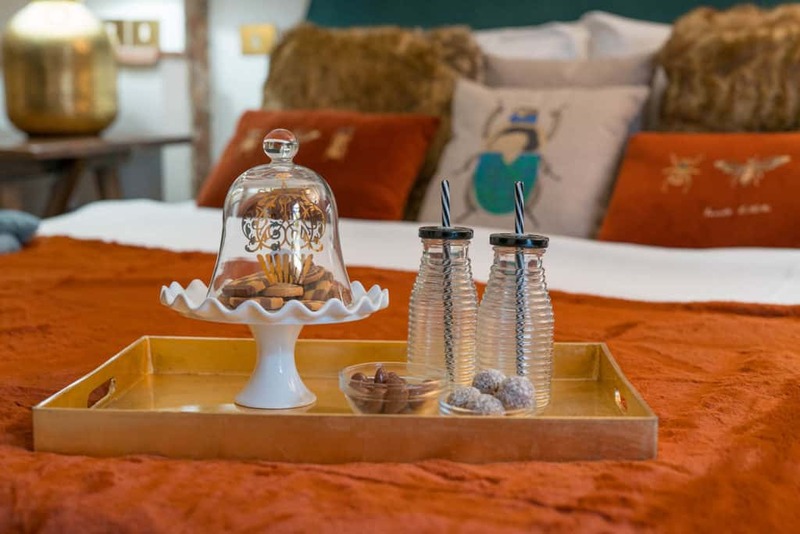 From the intricate details of the hand carved furniture, to the spa like ambiance of the sitting area, these suites will provide the ultimate in relaxation. 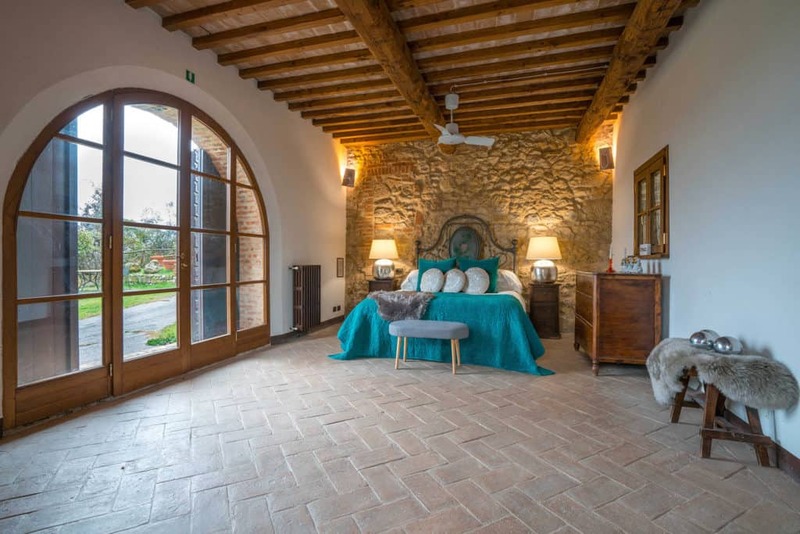 These luxurious rooms are perfectly situated to take advantage of the many views and gardens of the lavishly landscaped grounds at our Tuscan getaway. 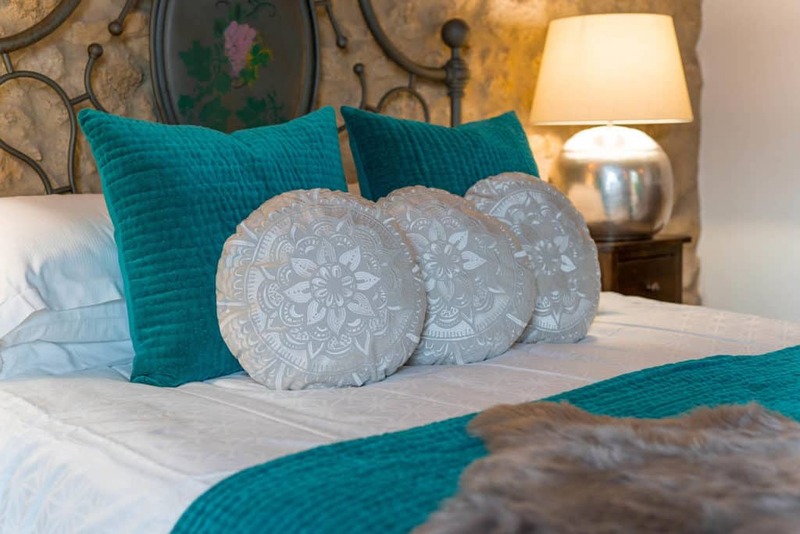 Elegant linens and hand-carved details complete the bedrooms. 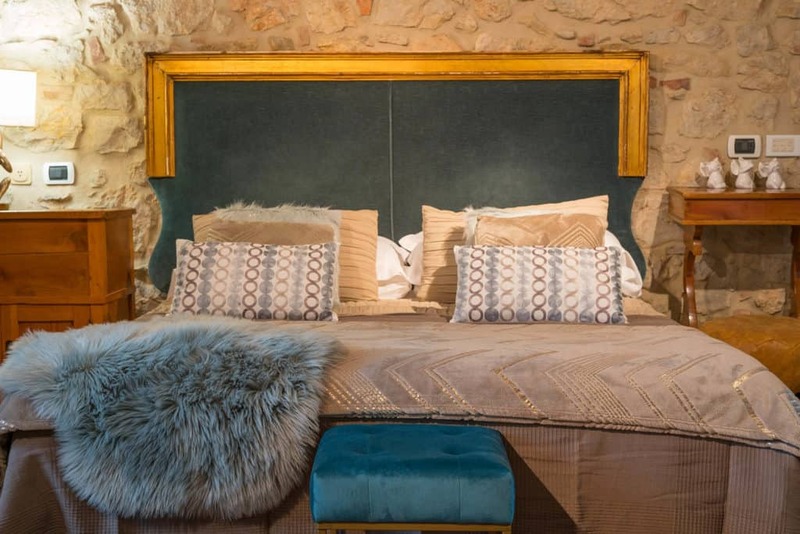 Some have a sitting area with fireplace and lovely sitting to make this the perfect romantic retreat. You may not want to leave your room! Step through our lush gardens into your welcoming room, complete with luxurious linens and charming furniture. Enjoy breathtaking views. Soaring ceilings and beautiful lighting add a warm, elegant feel. Cool tiles, rich colors and whimsical decorations add to the ambiance. Curl up with a blanket or take in the views. The choice is yours! Take the “Valdichiana” exit. Turn left and follow the signs that lead to Torrita di Siena and then Pienza. About 9 Km past Torrita di Siena turn Left toward Montefollonico. Take the “Siena-Bettolle” expressway connection toward Bettolle. Exit at Bettolle (near the highway tollbooth). Follow the signs which lead to Torrita di Siena and then Pienza. About 9 Km past Torrita di Siena turn left toward Montefollonico. Take the expressway connection E45 “Perugia-Siena” and exit at Bettole (near the highway tollbooth). Follow the signs which lead to Torrita di Siena and then Pienza. About 9 Km past Torrita di Siena turn left toward Montefollonico.